Few days ago I was invited to Blogger Gathering with Kojiesan. It was such a fun and enjoyable event because there was so many bloggers coming and not only beauty bloggers but also fashion and life style bloggers. In this event we were introduced further with their products, what's ingredient they use and the benefits for our skin. And now I want to share with you all a brief preview of some Kojiesan products that I got. 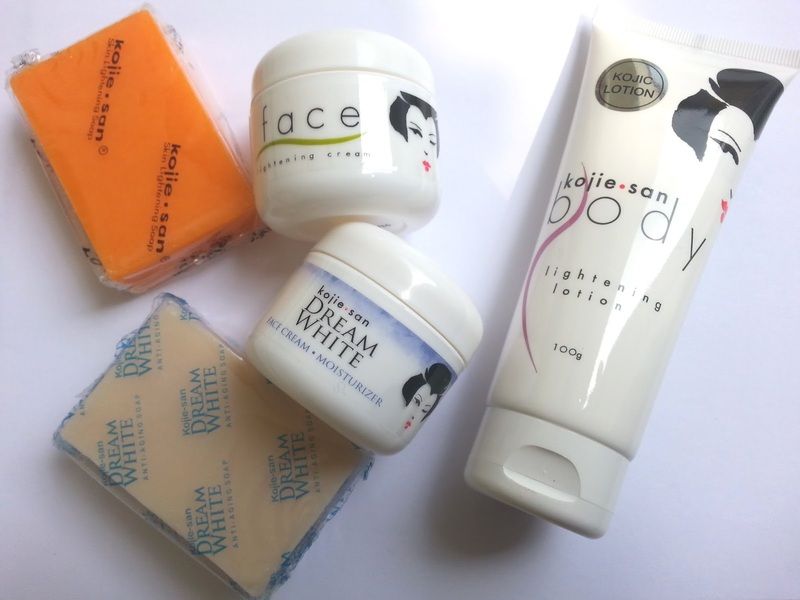 First of all, one of the main ingredients from Kojiesan product is Kojic Acid. Kojic acid was found in Japan, accidentally through process of fermentation of rice malt. In its progress, this composition is believed could maintain the beauty of our skin which can lighten and return our original skintone. Kojic acid, actually, has long been used traditionally in Japan, but since Hydroquinone was found,many people switched to Hydroquinone instead. But then, the usage of Kojic Acid has been popular again after it was claimed that Hydroquinone contains harmful side effects for our skin. Don't forget to join their blog competition and I'll see you in my next post!